One way to make sure that your home is free of water damage and pests is to ensure that the roofing system is sound. Over time, wind and water damamge from storms can compromise the exterior surface, creating an entry point for water, insects and other pests. A single loose or missing shingle can lead to larger problems. There are several ways that homeowners can minimize roofing. Inspecting the roof regularly helps to prevent extensive problems. 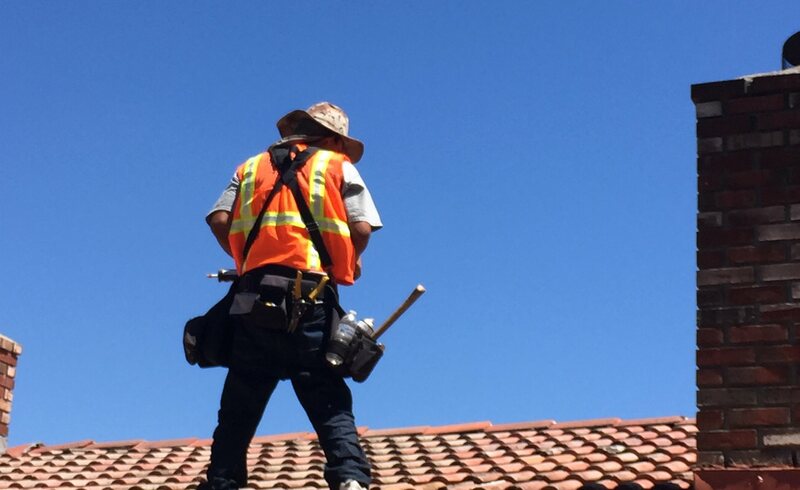 While homeowners can do a visual inspection from the attic and from the street, many people prefer to call a professional roofing company to climb up and look closely at the integrity of the roof. The biggest enemy of your roof is wind damage. Roofing company professionals can also check for erosion, cracks, buckles, improper flashing, loose guttering and other issues. High winds can break up or displace shingles and other roofing components. Water can then penetrate small crevices, damaging wood and traveling through the outer barrier to your home's interior. As water comes in contact with other materials and pools in various areas, it creates wood rot, plaster damage in the ceilings and walls of upper rooms, and can even cause fire hazards when mixed with electrical wiring. Keeping the gutters free and clear of debris is critical to proper drainage from the roof. It ensures the roof's edge is kept clean and dry. Allowing leaves to pile up and decompise in the gutter system only blocks away, it creates a moist and insect-friendly environment. Insects, mold and unwanted pests can damage the lower shingles. Depending on the type of gutter or drainage system you have, this can also cause rust, moisture damage and wood rot. Gutters that are clean and dry are more likely to protect your home's roofing and drainage system. An effective ventilation system in the attic or uppermost space below the roof is another way to minimize roof problems. When air circulates, it stays at a reasonable temperature and prevents air from being trapped. This also minimizes moisture damage,heat blister, gas build-up and other potential problems in the attic.